Our founder Carroll L. Welch, started an apprenticeship in roofing and sheet metal in the summers of the 1940′s in the New England area. After being transferred to Ft. McPherson during the Korean War conflict he met his beautiful bride, Ezma, who was from Georgia. After the war, he continued roofing while working as a City of Atlanta Fireman. In 1964 he resigned from the City of Atlanta and started Ben Hill Roofing and Siding Co., Inc. in the Ben Hill business district which is located in southwest Atlanta. He continued to be the driving force in the reputation of Ben Hill until his death in 1984. Upon his death, son, David L. Welch became President and continued to grow the company using his father’s guiding principles and integrity. 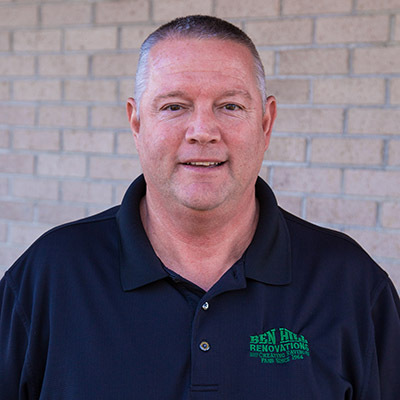 Today, Ben Hill Roofing is known as one of Georgia’s most successful roofing businesses. As your number one Douglas County Renovation Company, we are proud members of Roofing & Sheet Metal Contractors Association of Georgia, Master Roofing & Sheet Metal Contractors Association of Atlanta, National roofing Contractors AssociationBetter Business Bureau of Atlanta, Associated General Contractor and the Douglas, Carroll and Paulding County Chamber of Commerce.